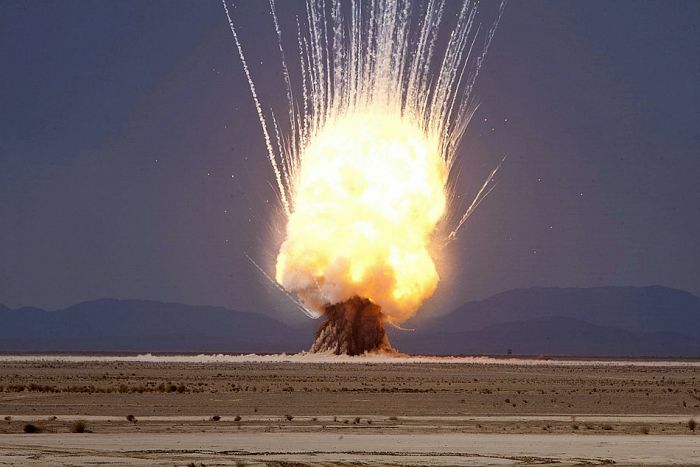 More than 7200 pounds of unserviceable tank rounds, mortars and 1700 pounds of composition C-4 detonates near Camp Leatherneck, Afghanistan. 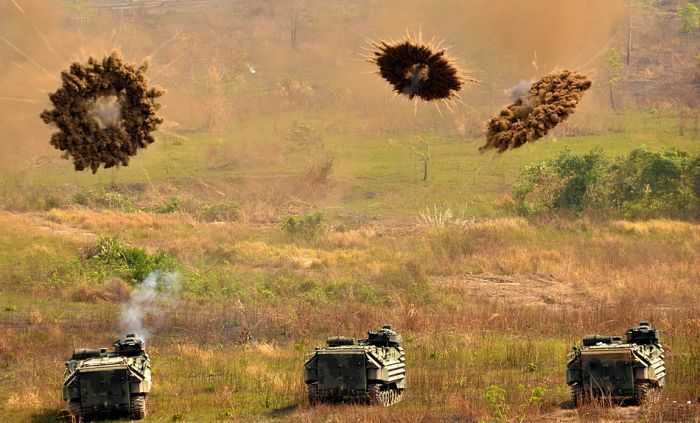 Marines with Combat Assault Battalion, Ground Combat Element, 3rd Marine Expeditionary Brigade Forward, III Marine Expeditionary Force, in amphibious assault vehicles train with smoke grenades. Feb. 11, 2011. 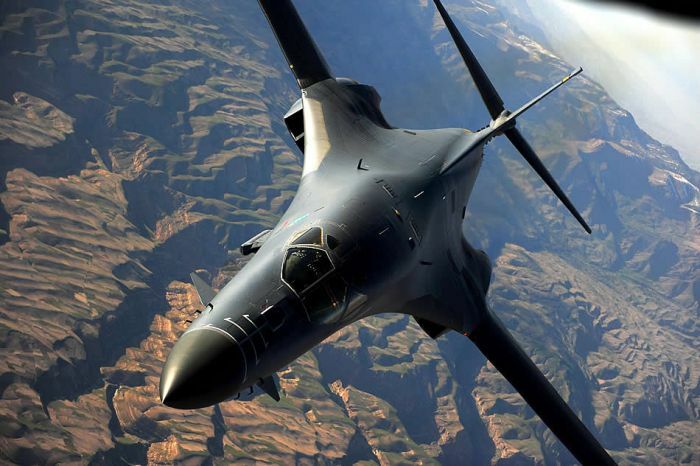 A B-1B Lancer, from the 37th Expeditionary Bomb Squadron, returns to mission after receiving fuel from a KC-135 Stratotanker, assigned to the 340th Expeditionary Air Refueling Squadron, while flying over Afghanistan in support of Operation Enduring Freedom. 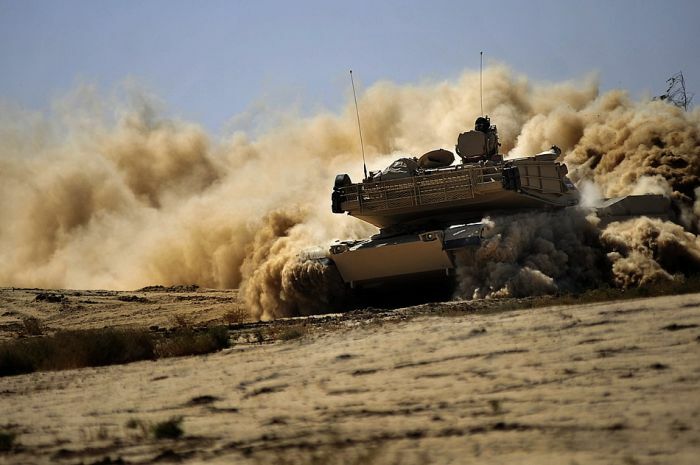 Iraqi army soldiers maneuver an M1 Abrams tank on a range in Besmaya, Iraq, Oct. 10, 2011. Pfc. 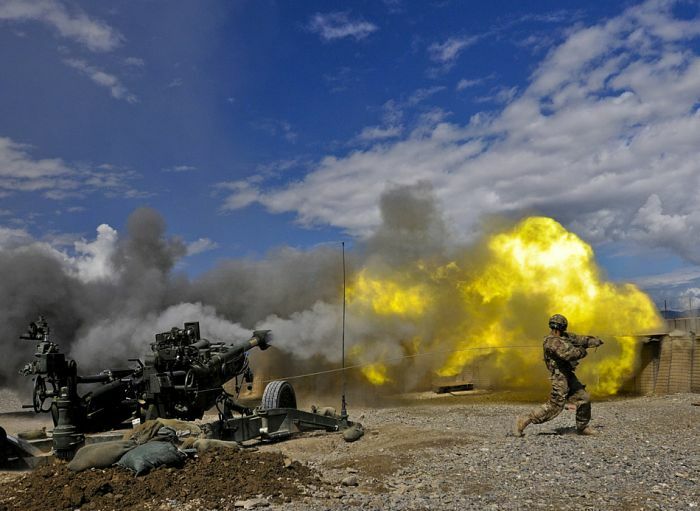 Erik Park from San Mateo, Calif., fires his M-777 155mm howitzer. Park, who is in 3rd Platoon, Alpha Battery, 1st Battalion, 77th Field Artillery Regiment, 172nd Infantry Brigade, is the number one man on the five-man numbered team that operates the massive weapon system. He was 12 years old on 911. 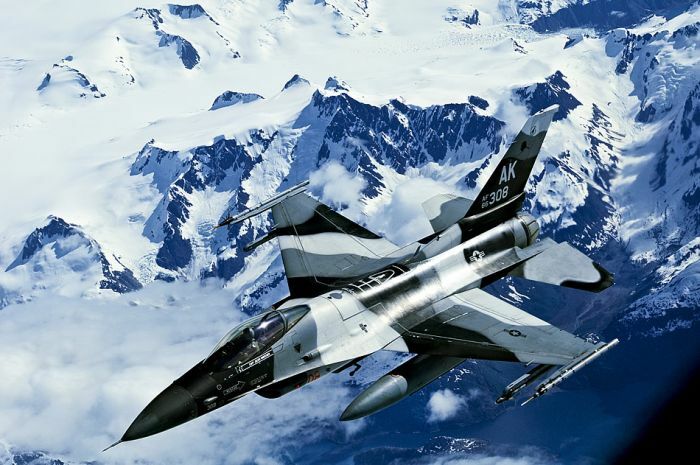 An F-15C Falcon participates in an excercise evolution during Northern Edge 2011 over a mountain range in Alaska, June 16, 2011. 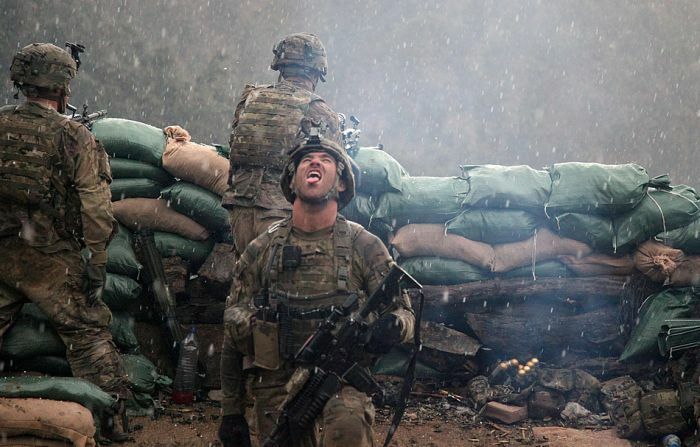 A U.S. Army soldier From the 2327th No Slack Battalion, 101st Airborne Division, relieved after a fire fight with the Taliban opens his mouth up towards the sky to taste the snow as it falls in the valley of Barawala Kalet, Kunar province, Afghanistan March 29, 2011. 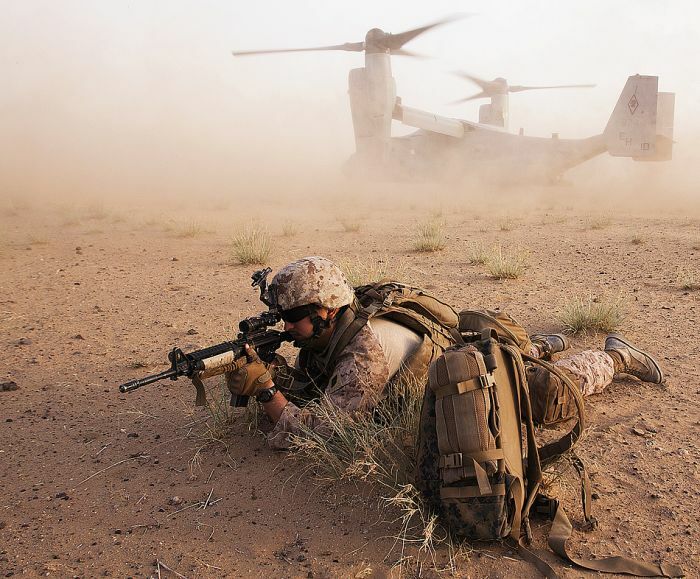 GARMSIR DISTRICT, Helmand province, Islamic Republic of Afghanistan - Navy Seaman Daniel Freeman provides security as his squad exits a V-22 Osprey during Operation Black Dawn. May 17. 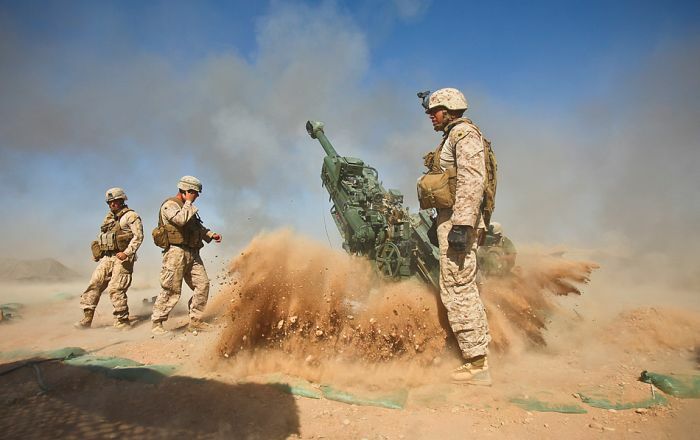 An M777 howitzer kicks rocks and dust into the air after firing during a recent mission. 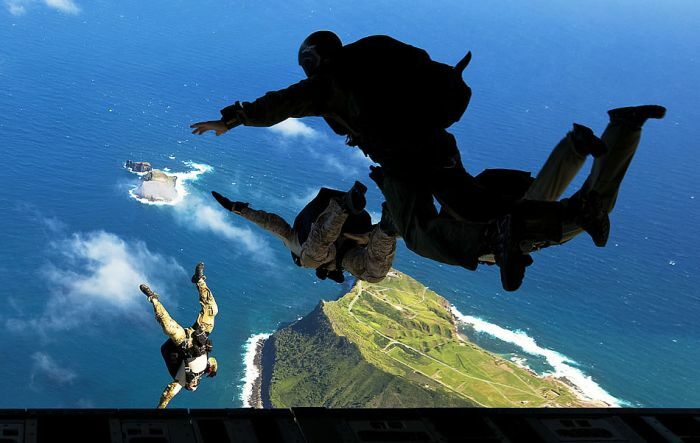 Air Force pararescuemen from 103rd Rescue Squadron, 106th Rescue Wing, New York Air National Guard, and West Coast-based Navy SEALs leap from the ramp of an Air Force C-17 transport aircraft during free-fall parachute training over Marine Corps Base Hawaii. 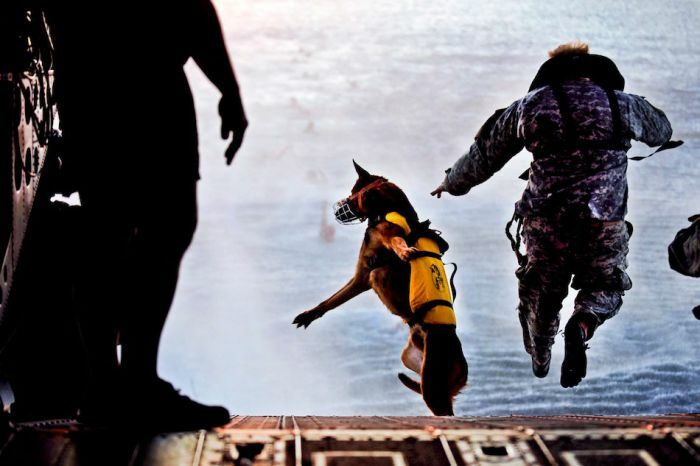 A U.S. Army soldier and Pronto, his Special Forces military working dog, jump off the ramp of a CH-47 Chinook helicopter during water training over the Gulf of Mexico as part of Emerald Warrior, March 1, 2011. 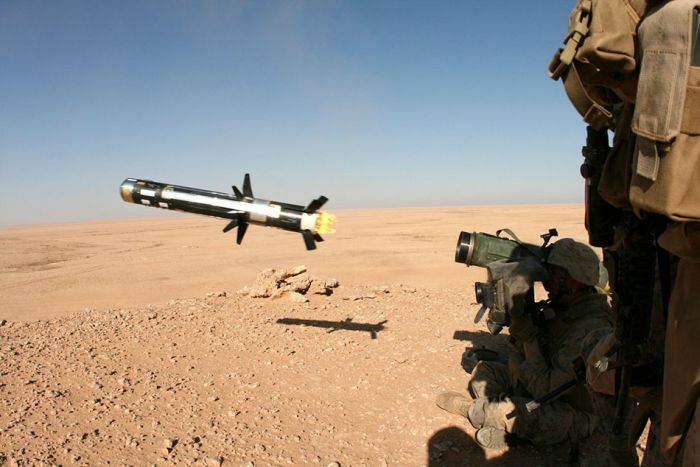 A soldier firing the deadly FGM-148 Javelin missile. Each missile is worth 40,000 USD. 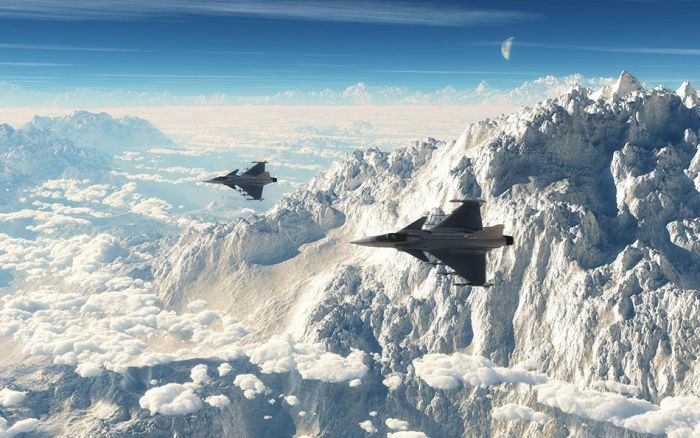 Two Swedish Air force Saab JAS 39 Gripens flying over some stunning mountains. 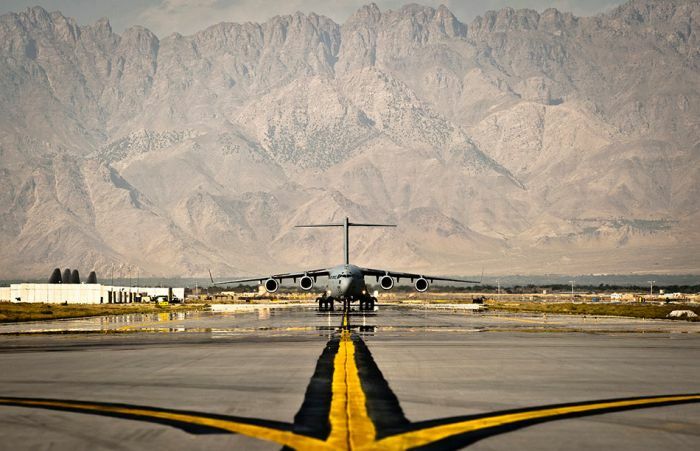 A U.S. Air Force C-17 Globemaster III cargo aircraft taxis to its parking spot at Bagram Airfield, Afghanistan, Sept. 25, 2012. 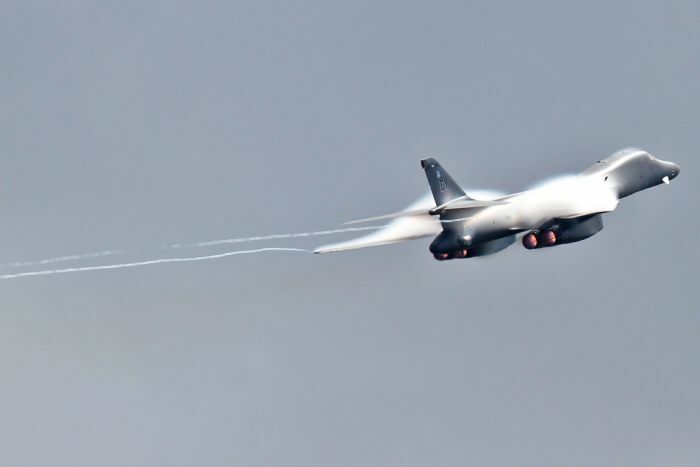 B-1 bomber breaking the sound barrier. 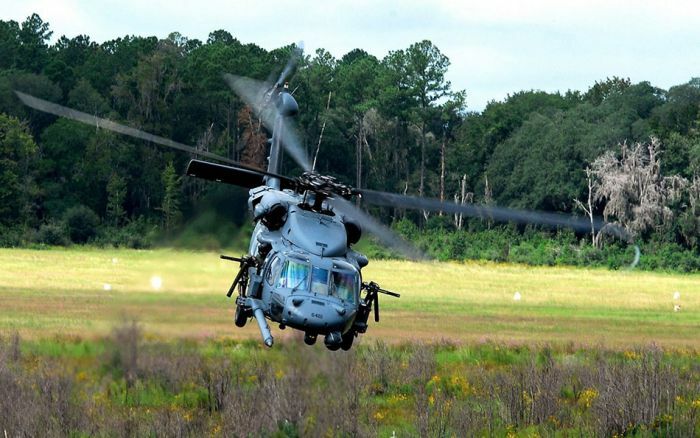 UH-60 looking beautiful while flying low. 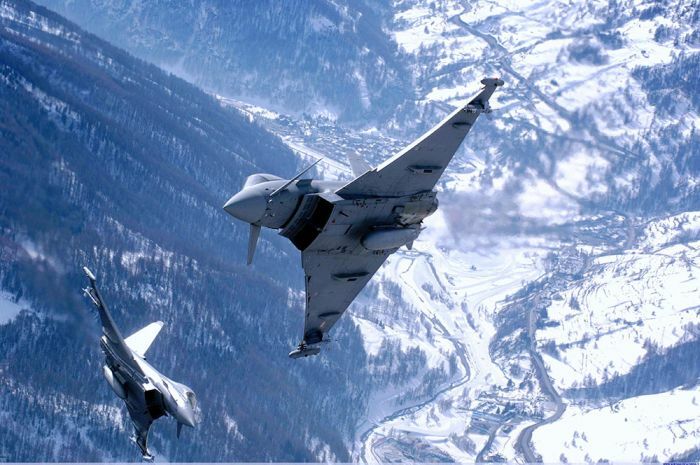 Two Eurofighter Typhoon jets maneuver amid the snowy peaks of the Alps. 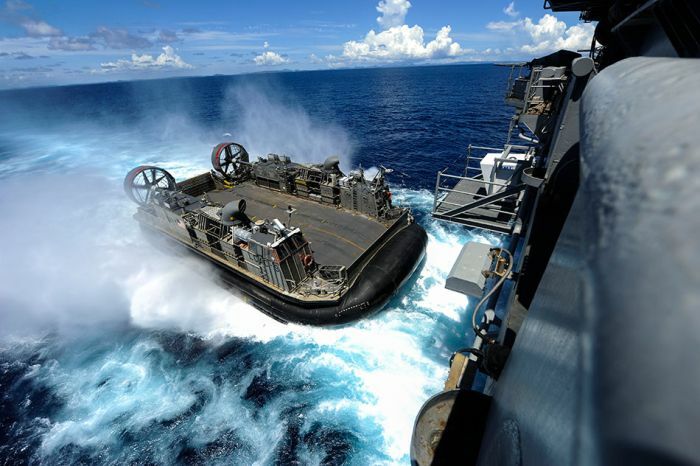 A landing craft air cushion enters the welldeck of the amphibious assault ship USS Bonhomme Richard in the Philippine Sea, Sept. 2nd, 2012. 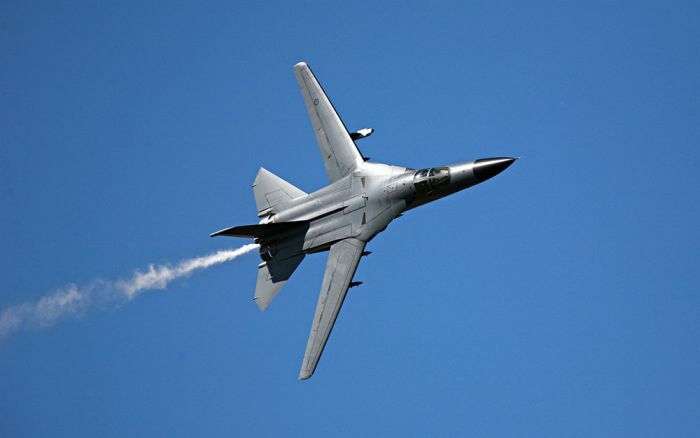 An F-111 Aardvark making a hard banking turn with its fully opened variablweep wings. 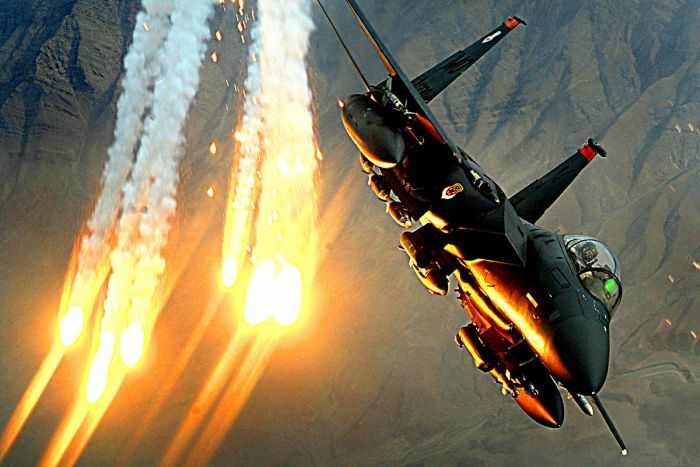 F-15 popping flares during a support operation in Afghanistan. 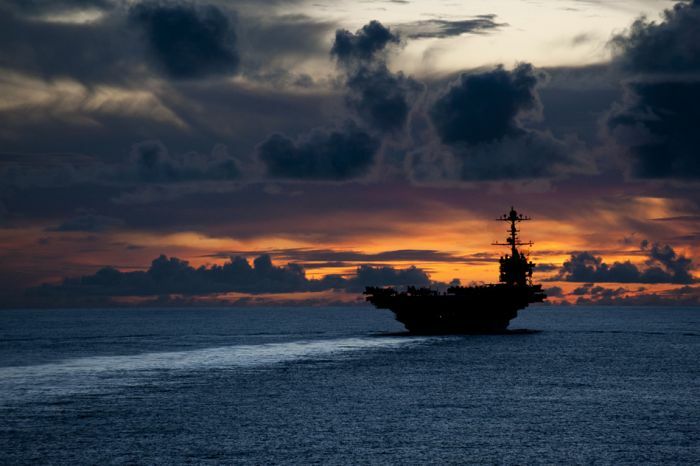 USS Washington with a beautiful sunset as a backdrop. 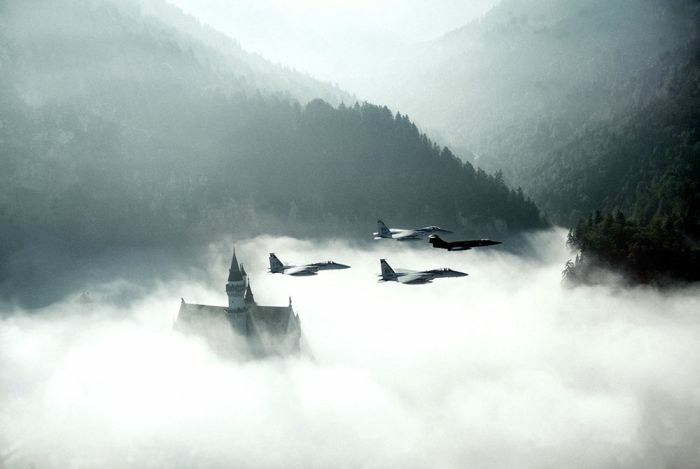 A formation of F-15's flying with a single F-104 Starfighter leading the pack. 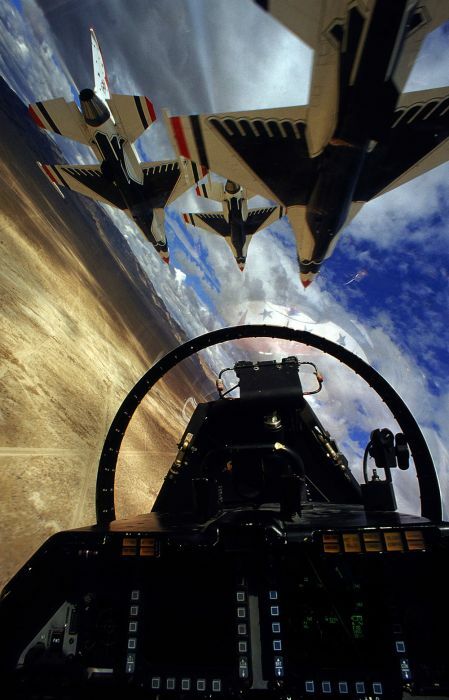 View from the cockpit of an F-16, while flying in formation. This is the widely known aerobatics team known as the Thunderbirds. 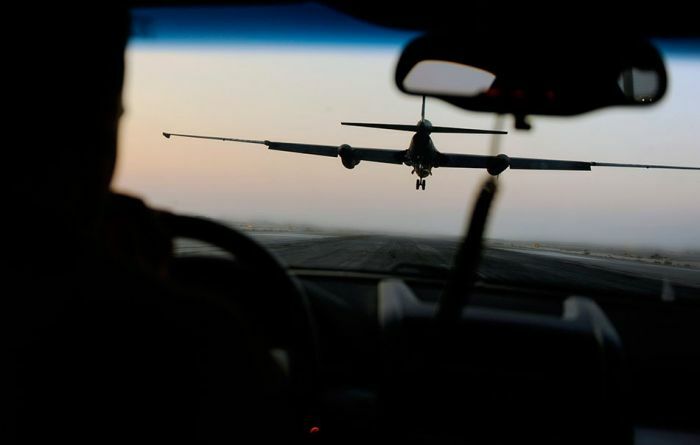 A chase vehicle drives behind a U-2 Dragon Lady to communicate altitude and alignment corrections while it lands at an undisclosed location in Southwest Asia. 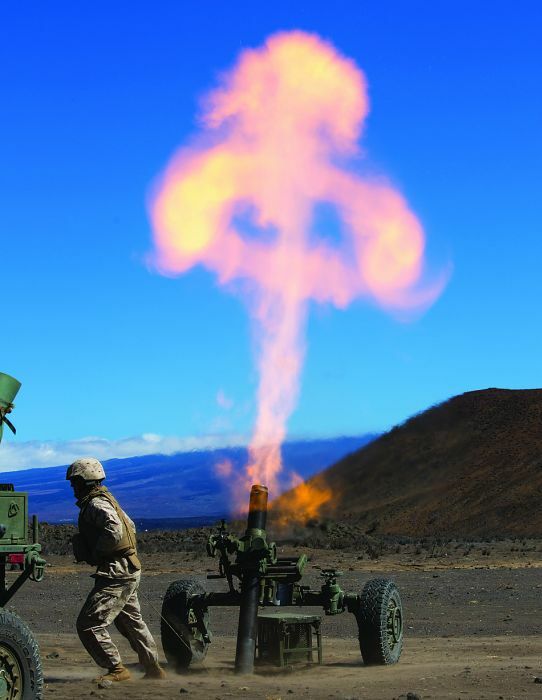 A new style M327 mortar firing. That muzzle flash is just massive! 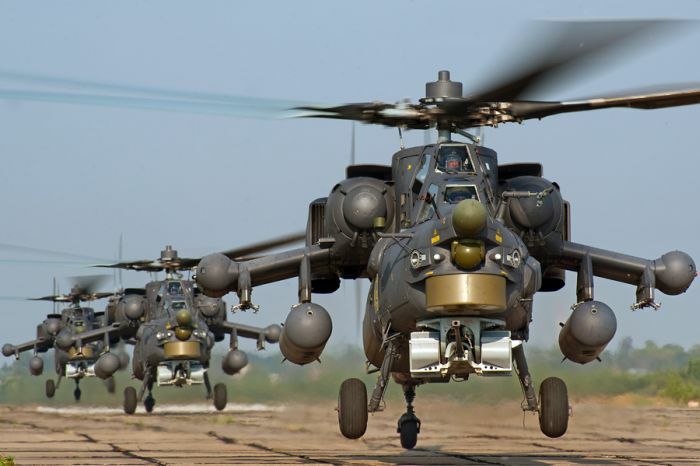 A lineup of Mi-28 anti-armour helicopters. 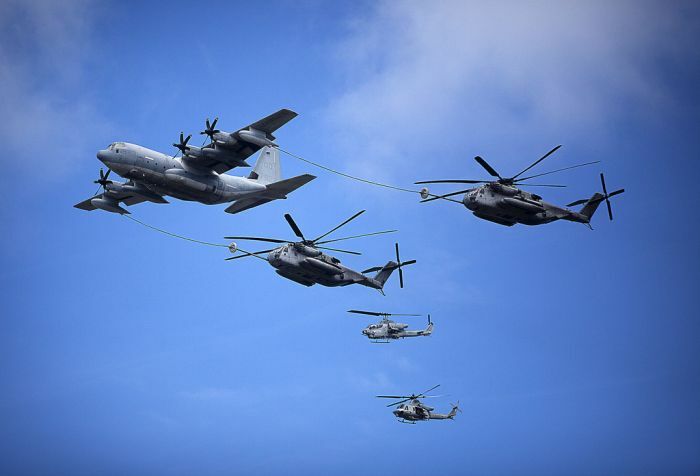 A U.S. Marine Corps C-130 refuels two CH-53E Super Stallion helicopters under the watch of an AH-1 Cobra and a modernized UH-1Y Venom during the 2012 Kaneohe Bay Air Show on Marine Corps Air Station, Kaneohe Bay, Hawaii, Sept. 28, 2012. 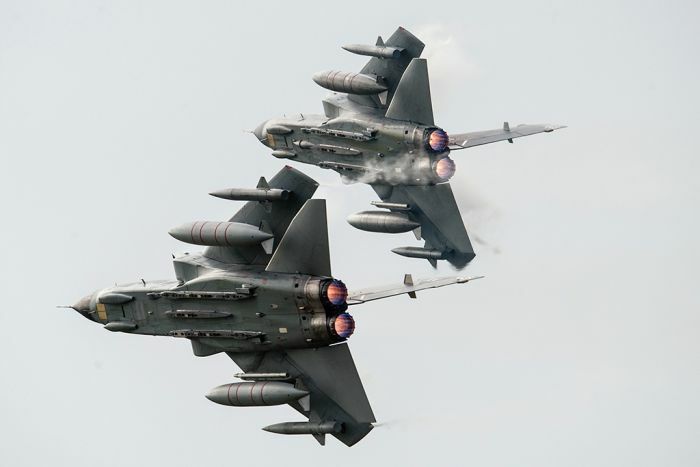 Dedicated to the RAF crews from XV Squadron who sadly lost their lives recently in a Tornado training accident in Moray Firth, Scotland. 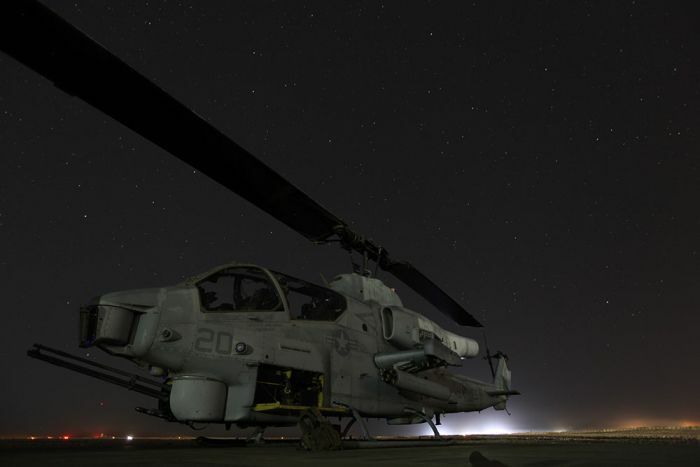 A U.S. Marine Corps AH-1W Cobra attack helicopter sits at Camp Dwyer in Helmand province, Afghanistan, Oct. 4, 2012. Love these posts! Pity these things are used to hurt others!! They really are impressive! Good post. 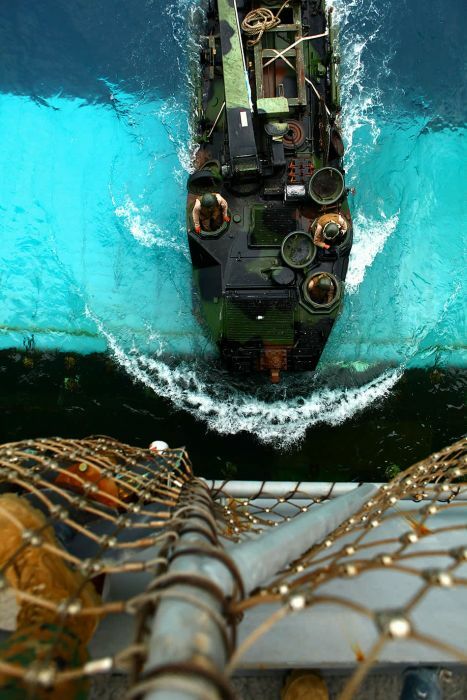 Love these military pics.